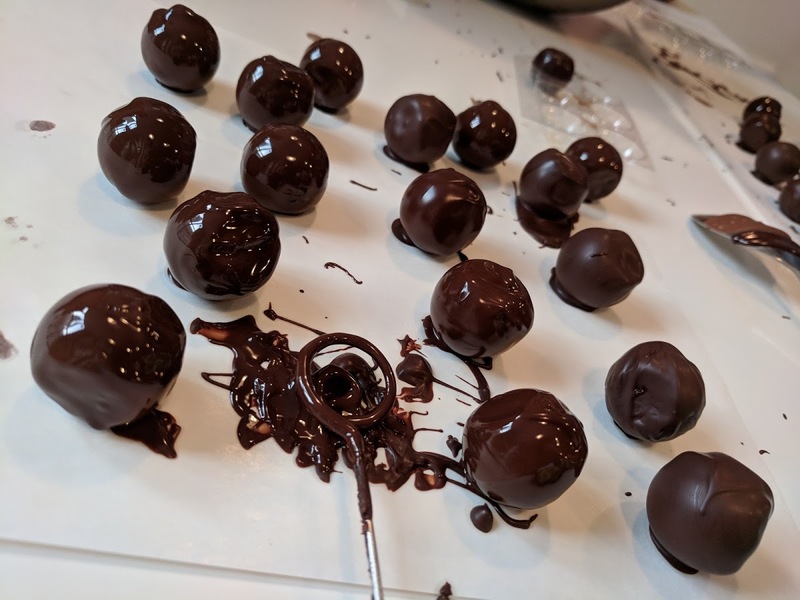 Ellie's workshop studio is lovely and we were greeted by her and her Dad who started by offering us Prosecco and other lovely drinks from a very extensive menu. 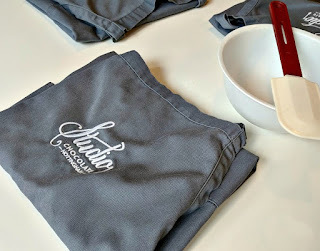 We were also adorned with lovely aprons and a chocolate tasting board for us all to sample so we can understand more about the different types of chocolate we'd be using. 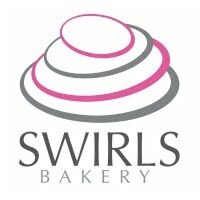 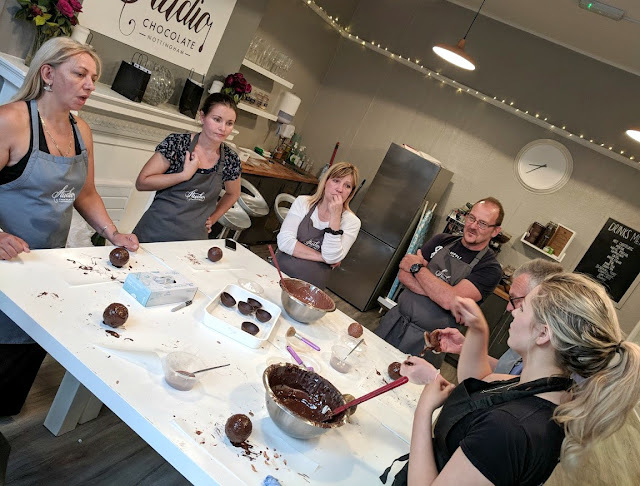 We'd booked the workshop to find out a bit more about tempering and using chocolate moulds and we weren't disappointed! 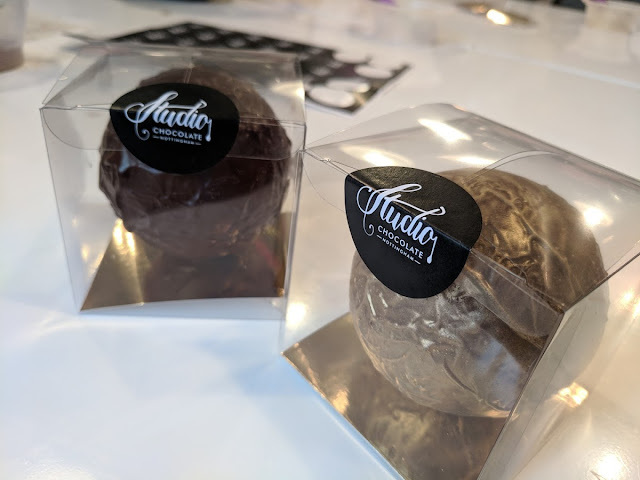 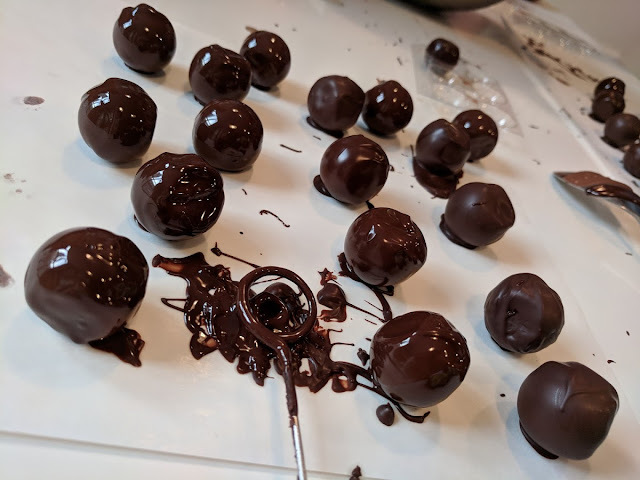 We made flavoured ganache and filled our own chocolates, we each took home a box of 12 AND we got to make one of Ellie's infamous Hot Chocolate bombs which were incredible! 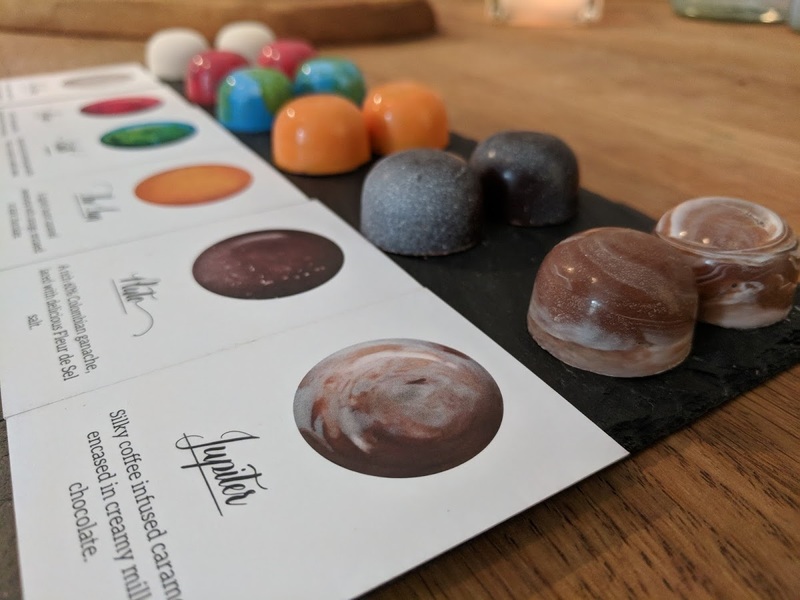 Ellie also showed us some of the chocolates she makes and sells in her shop in Nottingham and I have to say I was wowed by the colours and finish on them all. 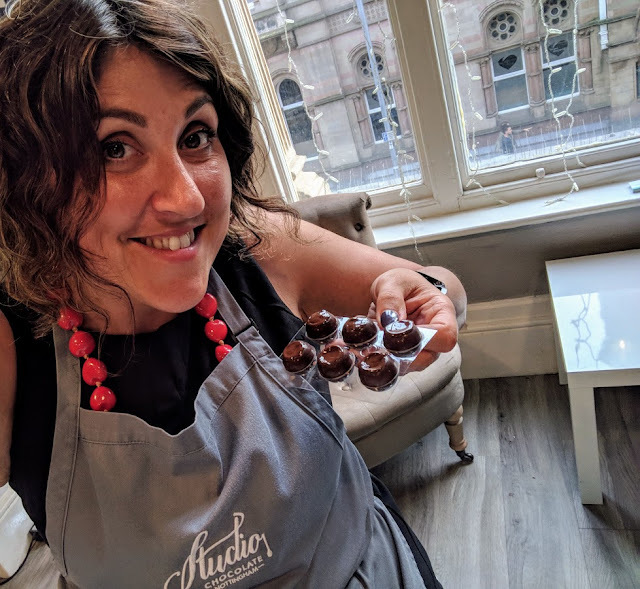 Her flavour combinations are delicious and I'd highly recommend her workshop to anyone wanting to know more about chocolate.